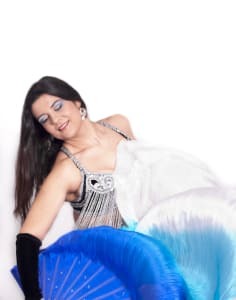 Zahida Palma is a belly dance professional. Bellydance is also known as arabic or oriental dance but anyway, dance is the important thing here so feel free to choose the name you prefer! If, like Zahida, you also believe that movement is life, emotion is essential and beauty is a necessity, you are going to get along well. Zahida ia on the mission of making the world a kinder place. That's the reason why she works hard on her blog, school and face-to-face classes. She'd rather be part of the solution instead of being part of the problem.